The Greek goddess of agriculture, who gave mankind the secrets of growing corn. 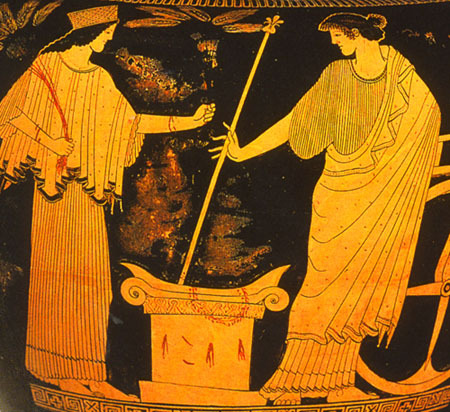 At Eleusis in Attica her cult included Mysteries through which initiates achieved promise of immortality. She is shown as a matronly figure, carrying corn or torches. 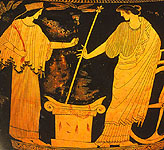 Her daughter Persephone married Hades and is often shown beside her mother.